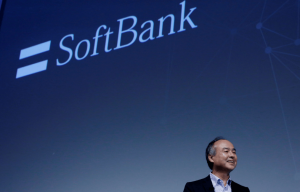 Saudi Arabia and Softbank Group Corp (SBG) have signed a Memorandum of Understanding, under which the oil rich kingdom will be a primary investor in its Softbank Vision Fund, to be dedicated to investments in the technology sector. Similar sentiments were expressed by Softbank’s Chairman and CEO, Masayoshi Son, who noted that the establishment of the fund will boost investments in technology companies globally with hopes that it “will be the biggest investor in the technology” in the next 10 years. Softbank would invest around $25 billion within a period of five years while PIF is expected to provide up to $45 billion. The total amount of the fund could reach $100 billion according to Saudi state news agency with the participation of other investors. The fund will be managed by a subsidiary of Softbank based in Britain. The signing of the MoU comes at a crucial time for both parties. Saudi Arabia is trying to reduce its dependence on oil by using its sovereign fund to diversify its economy while Softbank has also embarked on an ambitious mission to impose itself as a brand name in the computational biology domain following the acquisition of Arm; a British smartphone chip maker for around £25 billion in August. Written by: Peter Mulvany on October 14, 2016. Posted by Peter Mulvany on Oct 14 2016. Filed under Finance, Gulf News, Headlines. You can follow any responses to this entry through the RSS 2.0. Both comments and pings are currently closed.